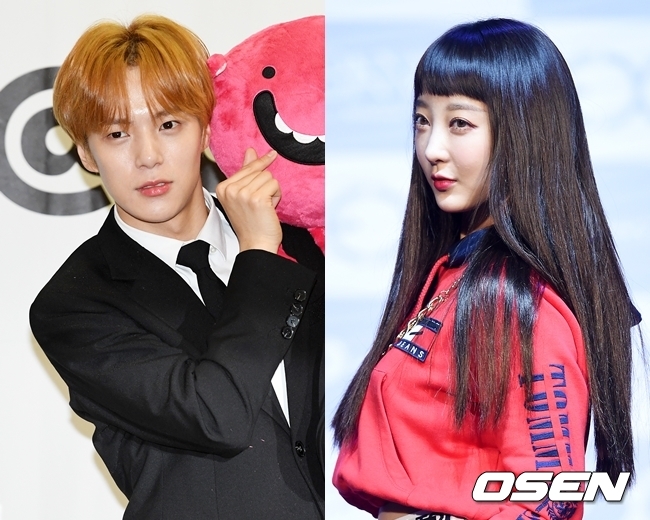 EXID member Hyelin denied the dating rumor she is involved with Monsta X member Minhyuk. On April 10, EXID filmed the preproduction for a music show with fans. One of the fans at the site, according to a staff, asked Hyelin about the recent dating rumor with Monsta X’ Minhyuk and Hyelin replied that she the rumor is not true. The rumor has been around among fans for a while and Hyelin raised her voice to clarify the fact. Monsta X’ agency Starship Entertainment, too, clarified that the two artists are not dating each other. Two K-pop groups recently made comebacks. EXID successfully showcased the new retro concept with “Do It Tomorrow,” while Monsta X also is doing great with their new release “Jealousy,” which is highlighted with powerful stage performances.